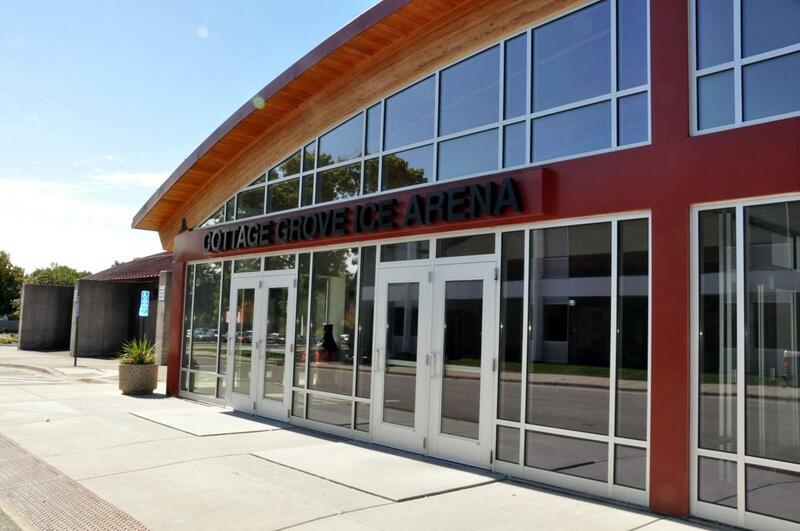 Cottage Grove Ice Arena is located at 8020 80th St. S in Cottage Grove, MN. 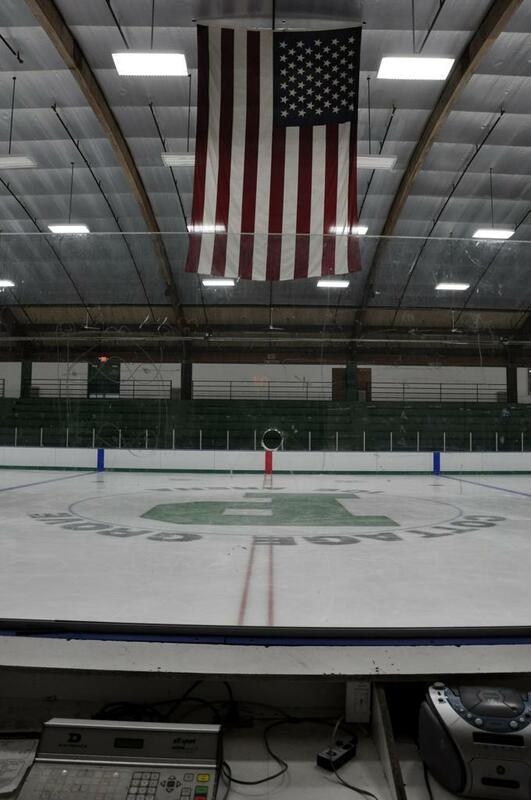 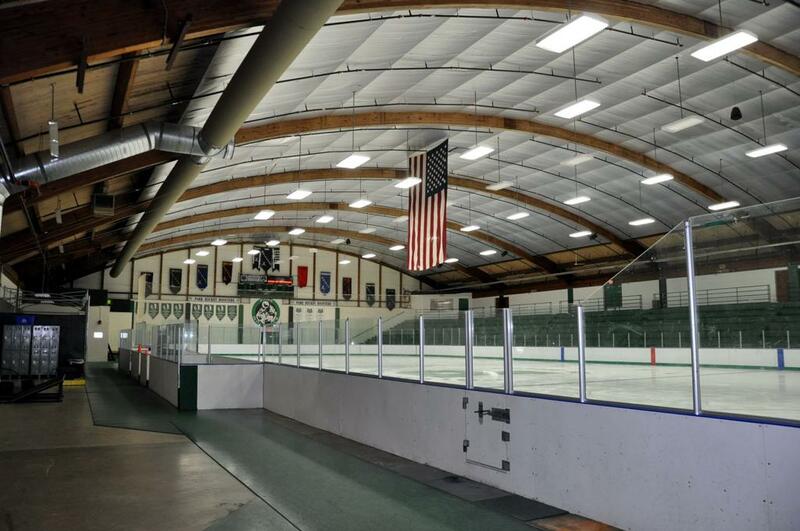 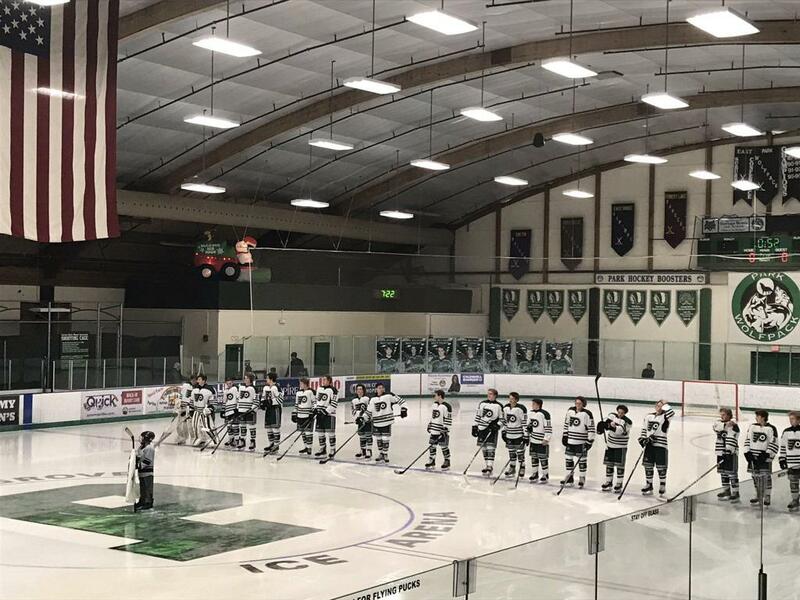 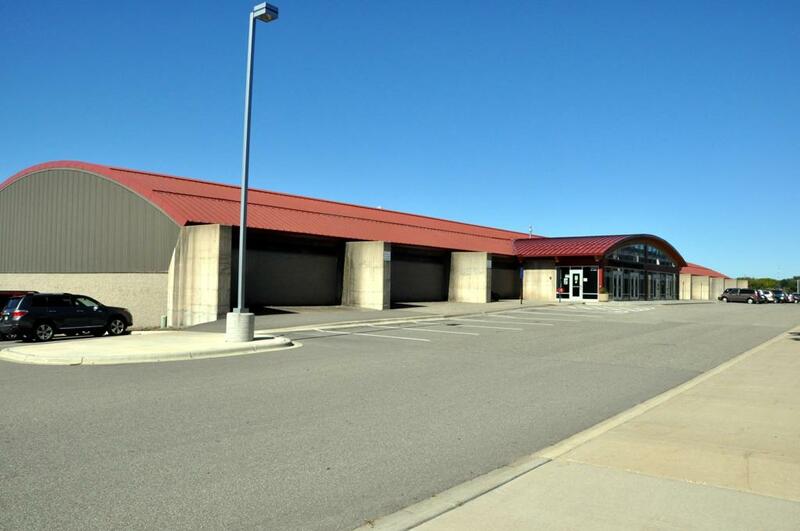 Erected initially with one sheet of ice in 1974 for the Cottage Grove Indians hockey team, the arena has undergone numerous additions including adding a second and third sheet of ice to the facility. 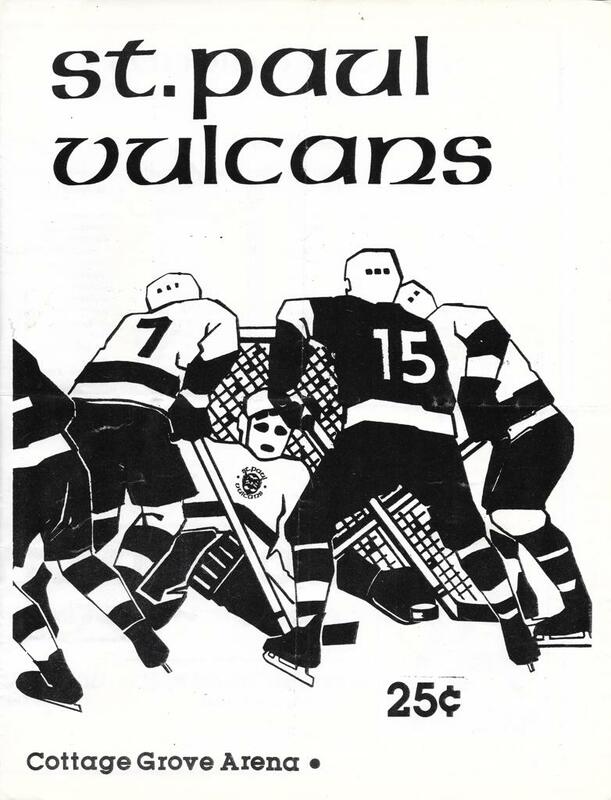 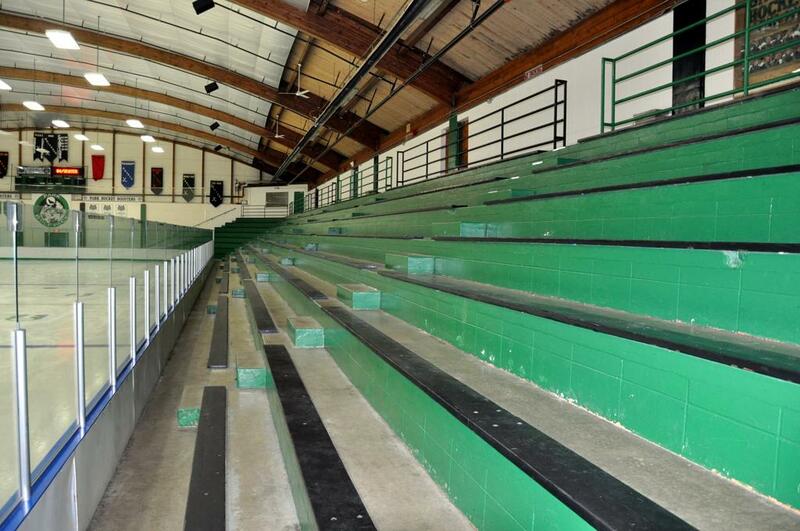 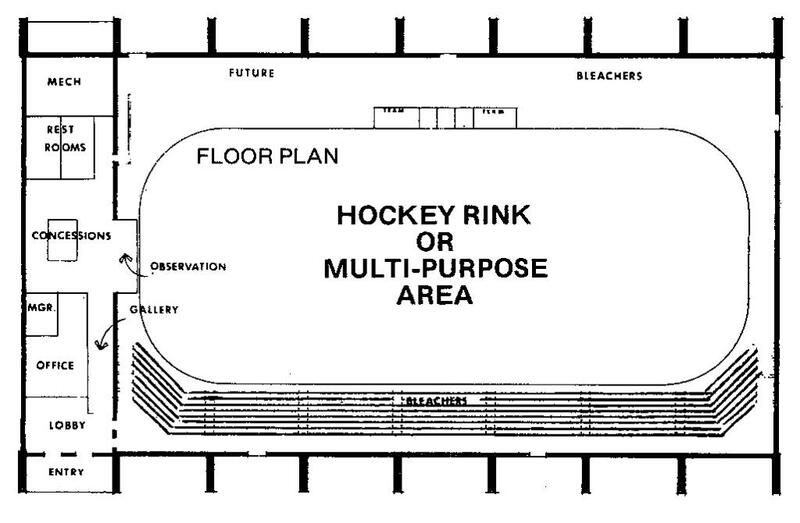 The original 1974 North Rink has the EXACT floor plan and seating arrangement, roofline as the 1975 erected New Hope Ice Arena, and that of 1976 built Alexandria Runestone Arena. 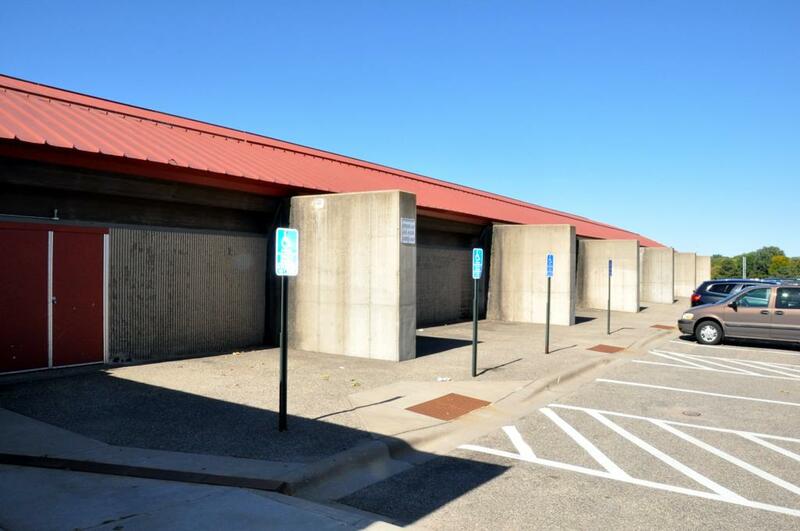 The outside structure with the concrete support pillars are the same too. 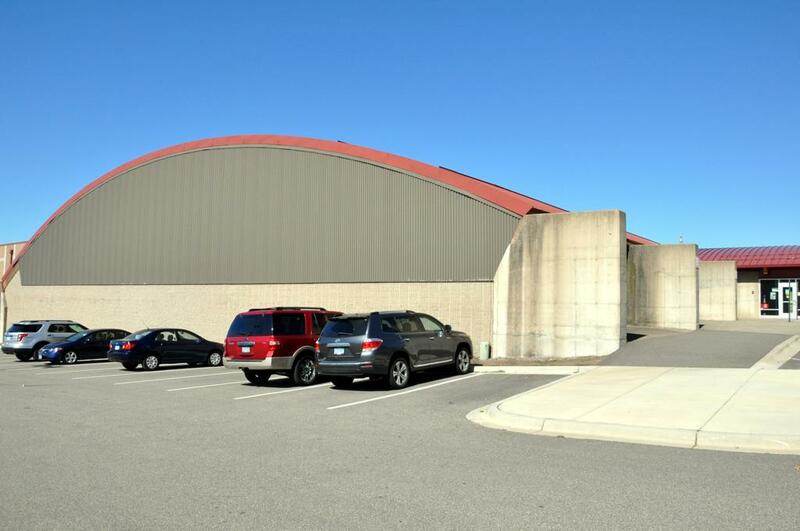 We cannot 100% confirm this, but the facilities - Cottage Grove Arena, New Hope Arena, and Alexandria Runestone - have to be the same architect and builder. 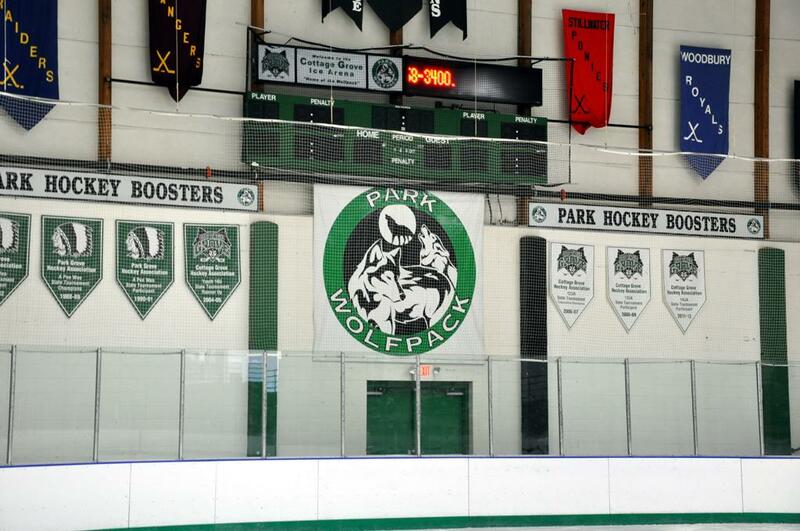 The City of Cottage Grove owns and operates the Cottage Grove Ice Arena that is located immediately next to Park High School on the school campus. 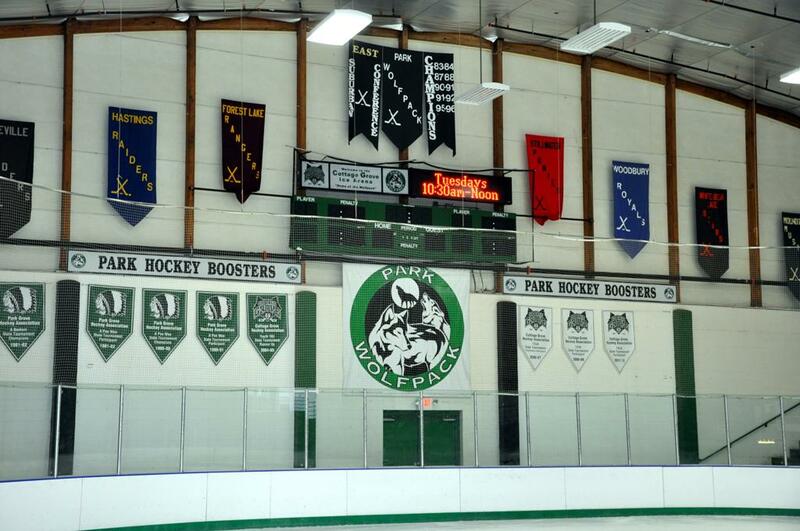 St. history laden MJHL and USHL St. Paul Vulcans one called Cottage Grove Arena home, and today, Cottage Grove Ice Arena plays host to the Park High School Wolfpack boys and girls hockey clubs, East Ridge High School Raptors, Cottage Grove Hockey Association, Cottage Grove Figure Skating Club and Skating School. 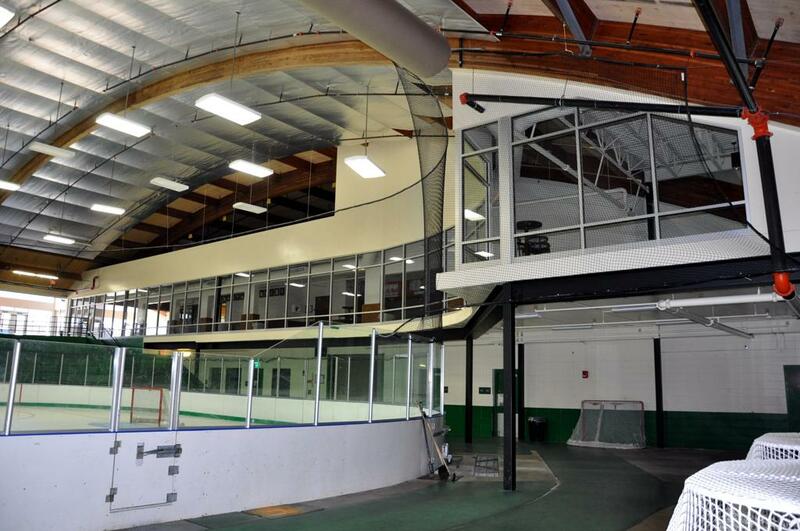 The Ice Arena offers year round lessons, public skating, and hockey opportunities. 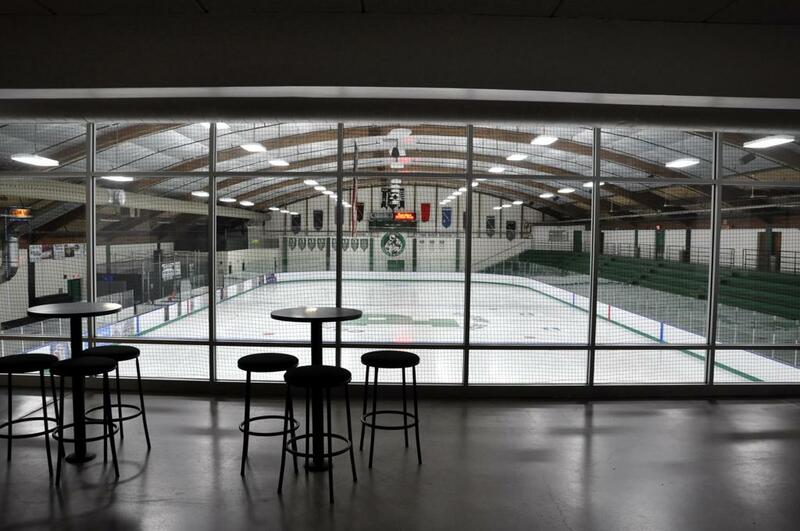 With the growth of the surrounding community, and the addition of the East Ridge High School, the City of Cottage Grove expanded the existing facility to include a third sheet of ice, multiple locker rooms, large meeting room, figure skating room, summer indoor rental capabilities, and expanded viewing area. 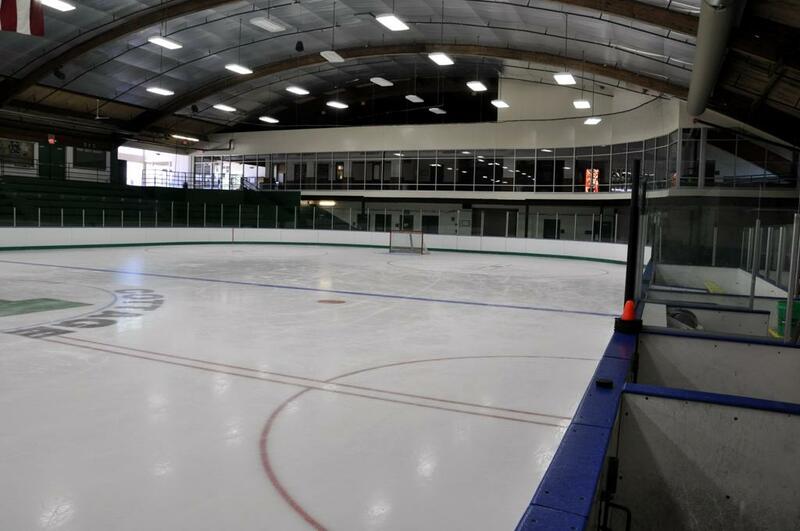 This new facility is expected to meet the ice recreational needs of Cottage Grove and the surrounding communities for years to come. 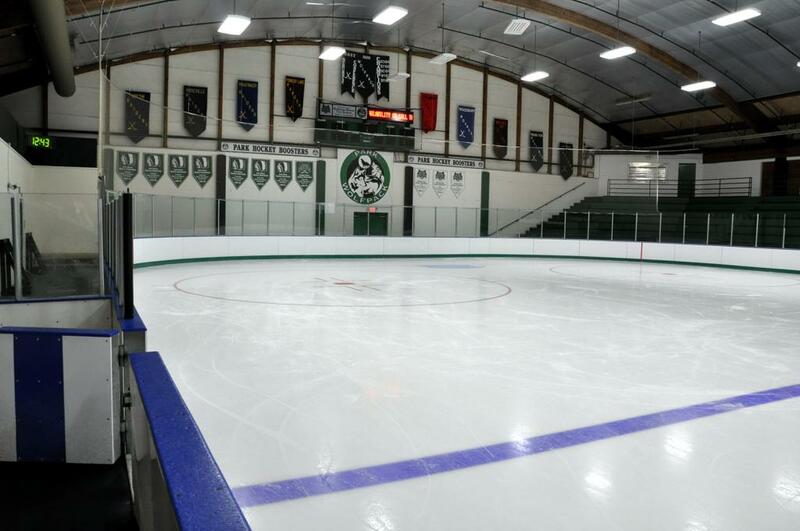 The main North Rink has seating for 850 spectators (1,178 capacity), where the South Rink is a smaller arena with seating for only 50 (600 capacity) that serves the youth program well with a smaller sheet of ice at 65' x 120'. 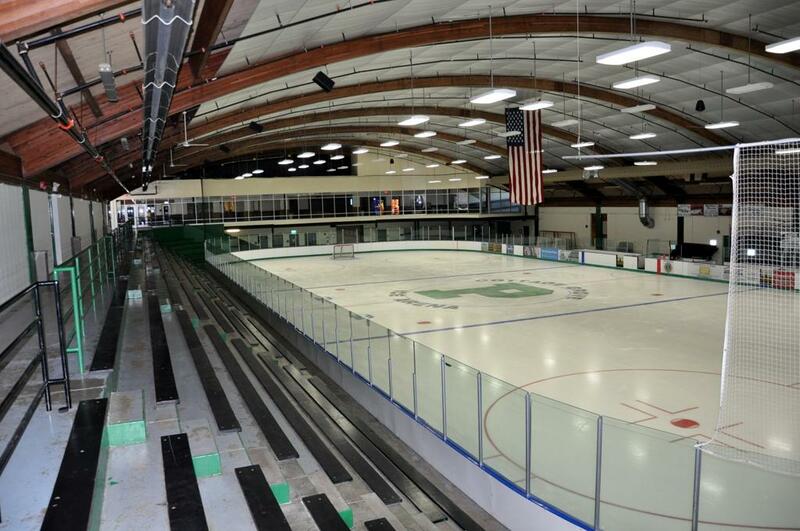 The recently added third rink, or West Rink has seating for 650 (802 capacity) and is the home ice for the East Ridge High School Raptors. 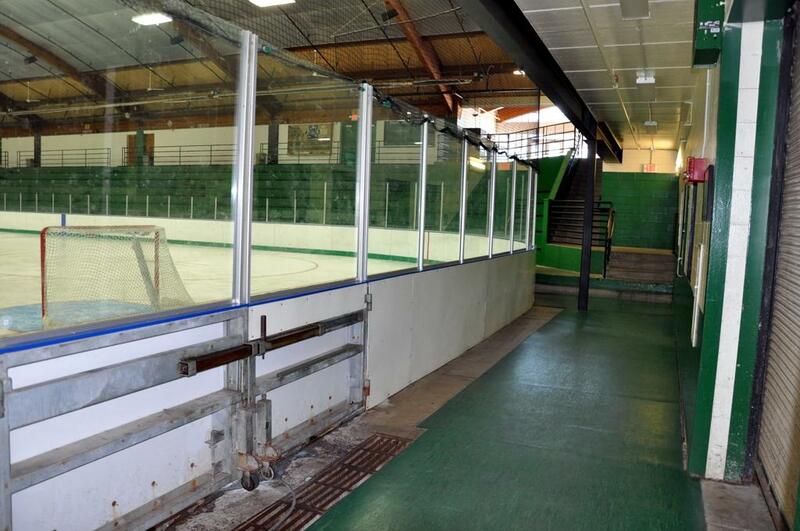 Both the original North Rink & West Rink have standard ice dimension of 85' x 200'.